For first time campers, the perfectly built s’more is a right of passage - an introduction to campfire cooking. Achieving that golden brown crust, the ideal melty chocolate-marshmallow ratio, and perfectly halved graham cracker takes patience and skill. Once you’ve become a s’more master (s’master), it’s time to branch away from the old graham/mallow/chocolate stack. Try one of our recipes for gourmet s’more varieties you can make around the campfire and you’ll be a bonafide s’more chef in no time. Give that s'more a kick with a sprinkle from your Spice Missile. Squish the hot marshmallow down to melt the chocolate and release the caramel goodness. Or top your marshmallow with that candy cane left over from Christmas, we won't judge. Open the Oreo, fill with Nutella and marshmallow, top with other Oreo half. Or go big with two Oreo sandwiches on each end - this is your s'more to build. Sandwich that mallow between two cookies like an ice cream sandwich (but better). Protein, fruit, crackers... it feels healthy, right? Perfect for fire bans or late night snacking. Rim four Highland glasses with chocolate syrup and graham cracker crumble. Combine 2oz marshmallow vodka and 4oz chocolate liqueur with ice in a Microlite and shake until cold. Pour into glasses and top with whipped cream if desired. Enjoy with a side of toasted marshmallow. 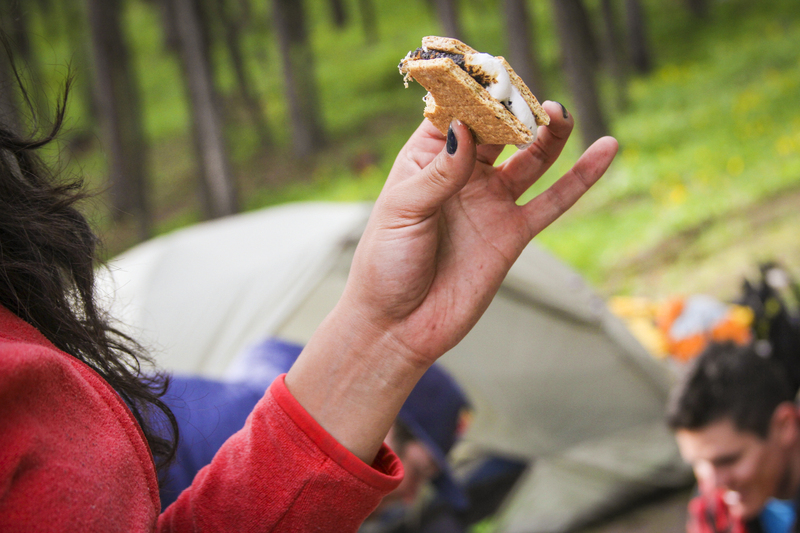 No matter how you stack it, s'mores are an easy and delicious treat for campers of all ages. Don't be afraid to experiment - you're the architect of your s'mores experience. So triple stack that sandwich, add the jalapeño, melt the cheese, and s'more on.